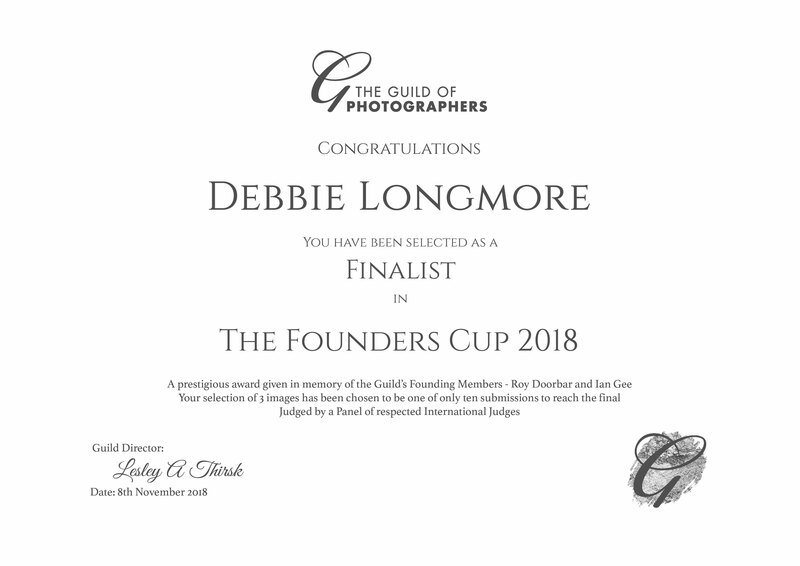 The Guild of Photographers is an Association with several thousand members that promotes learning and high standards for photographers everywhere. This year it is celebrating it’s 30th Anniversary and as part of the celebrations has launched “The Founders Cup” to acknowledge Roy Doorbar and Ian Gee who founded the Guild in 1988. This national competition has been sponsored by EPSON. Entrants had to submit 3 images which were connected or themed in some way. A panel of highly respected judges have reviewed all the entries and narrowed them down to just 10 finalists. Debbie Longmore is one of those finalists with her 3 images showing how people struggle with feelings about themselves, these feelings often being internalised and not reflective in their outward persona. These images will now be prepared in print format and assessed by another panel of judges in December 2018.